Pesticides are poisons and, unfortunately, they can harm more than just the “pests” at which they are targeted. 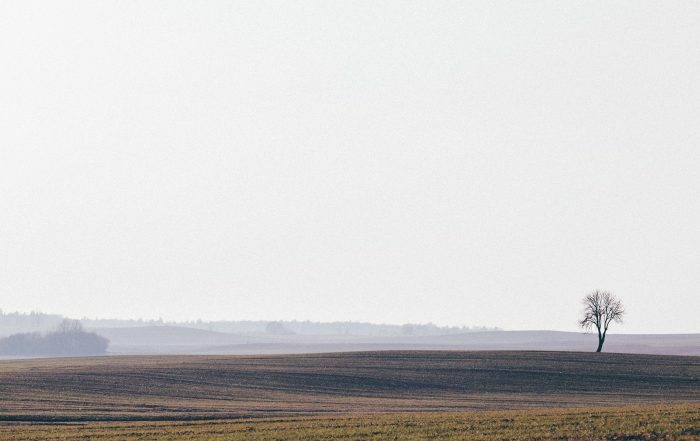 They are toxic, and exposure to pesticides can not only cause a number of health effects, but is linked to a range of serious illnesses and diseases in humans, from respiratory problems to cancer. Exposure to pesticides can occur in many ways. 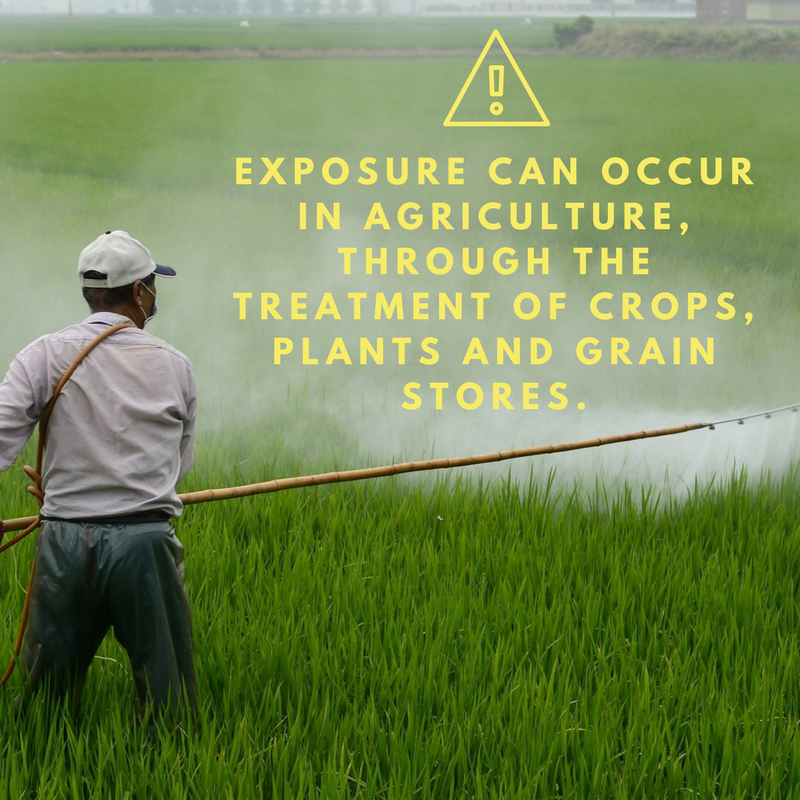 Exposure can occur in agriculture, through the treatment of crops, plants and grain stores. It can occur in forestry, gardening, professional and domestic pest control and through the spraying and use of amenities e.g. our parks, pavements and playgrounds. Exposure can also occur through the treatment of wood with preservatives, the treatment of boat hulls with anti-fouling agents, and the treatment of livestock with anti-parasitic preparations, e.g. sheep dip etc. In addition, pesticide residues found on, and in, our food also puts us at risk. A substance is considered carcinogenic when there is evidence that it can cause cancer. There are many different types of cancer, but all of them are characterised by the development of abnormal cells that begin to divide without control and spread into surrounding tissues. Cancer is caused by changes to genes that control the cellular functions, especially their ability to grow and divide. These changes can be induced by several agents, including pesticides. Cancer symptoms are not immediately evident, and many years can pass between the exposure and the diagnosis of this kind of disease. Single exposure events rarely cause cancer, but repeated contact (through mouth, eye, skin, lungs) with the carcinogenic substance, even at very low doses, can lead to cancer. 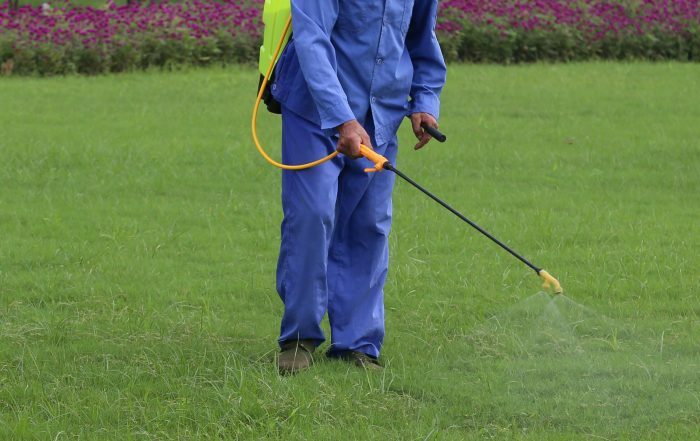 Pesticides can cause harmful effects over an extended period, usually following repeated or continuous exposure at low levels. Low doses don’t always cause immediate effects, but over time, they can cause very serious illnesses. 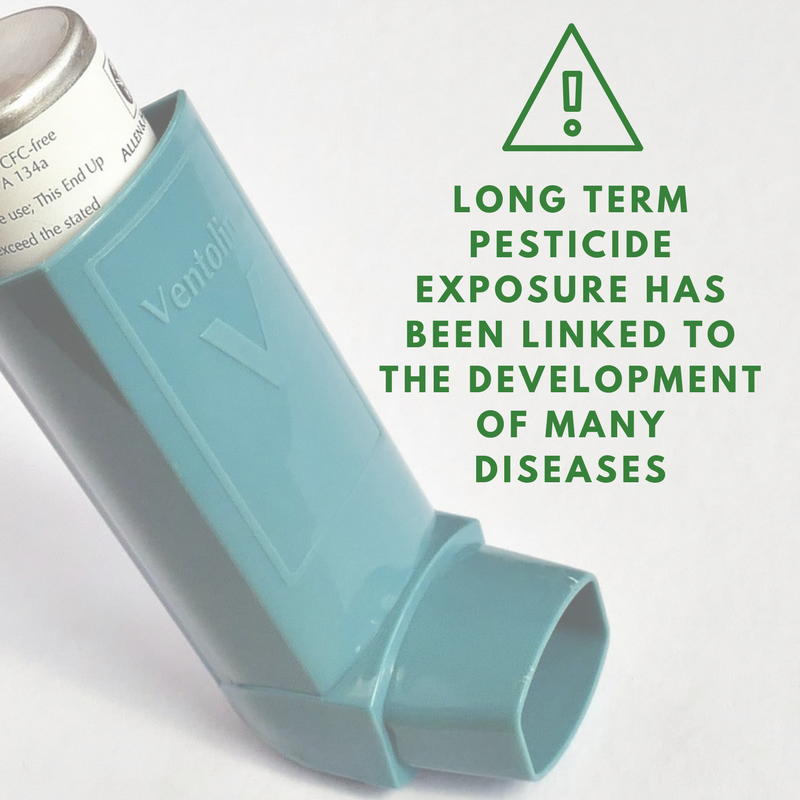 Long term pesticide exposure has been linked to the development of Parkinson’s disease; asthma; depression and anxiety; cancer, including leukaemia and non-Hodgkin lymphoma; and attention deficit and hyperactivity disorder (ADHD). The term endocrine disruptor refers to substances that interfere with hormones and hormone balance. Hormones are the chemical messengers of the body. They are necessary to regulate different functions, in particular growth and reproductive functions. hyper and hypo thyroidism and thyroid tumours. Another problem is that the effect of an individual chemical can be enhanced or changed if it is combined with another substance. Every day we are exposed to a cocktail of chemicals and the fact is that nobody knows what effect this consistent low level exposure to such a mixture of chemicals is having on us. We are being experimented on. 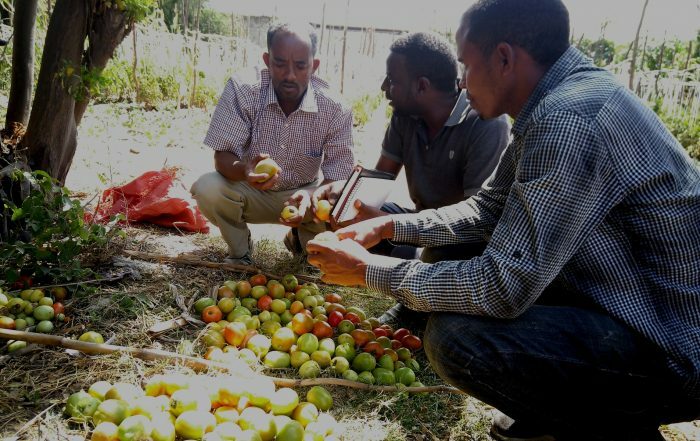 Reducing and stopping our exposure to pesticides is our key aim. There is certainly no need to be using pesticides in the schools, playgrounds, streets and the open places where we work and play. You can help us do this by starting (or joining) a pesticide-free campaign in your own town or city. 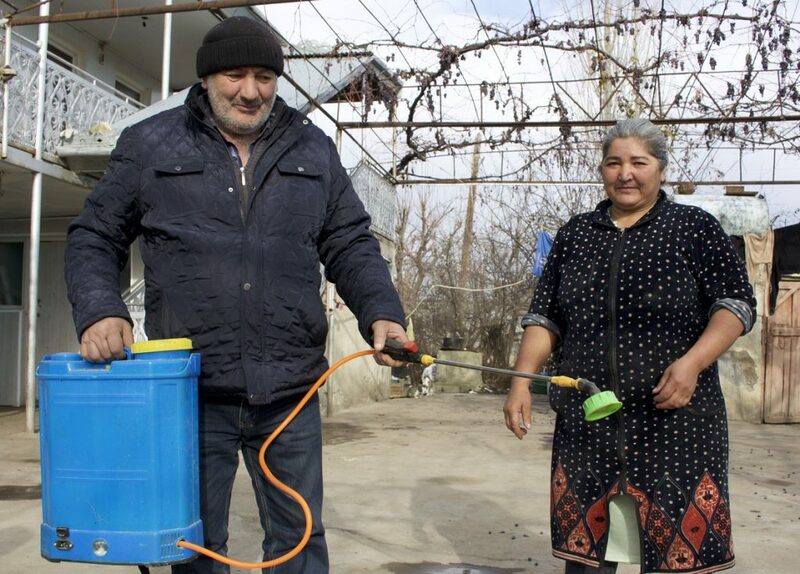 In 2016 PAN-UK worked with a partner organisation, Ecolife, to help the Ministry of Agriculture in Georgia identify hazardous pesticide practices and products in the country.